At Car Clinic MOT Centre, your local Ellesmere Port Garage, we offer Class 4 MOT test for just £40. Class 4 includes cars and small vans up to 2,900kg. There is no VAT on MOTs, so there are no added extras. Price includes a retest if one is needed and a courtesy car – subject to terms and conditions. The law says that you must have an MOT on any vehicle that is more than three years of age. Car Clinic MOT Centre are fully DVSA accredited, and we can do an MOT on your vehicle at a time which is convenient for you. The Class 4 MOT test is only intended to make sure your vehicle is roadworthy: It does not replace your annual service as it does not check the mechanical condition of the car or can. If your vehicle passes the MOT the first time we test it, we issue a pass certificate straight away. If it fails the MOT, then we quote you a price to rectify the faults we found. If you decide to use our Ellesmere Port garage for your vehicle repairs, then the retest is free of charge. All you need to bring to your MOT Ellesmere Port test is your vehicle. 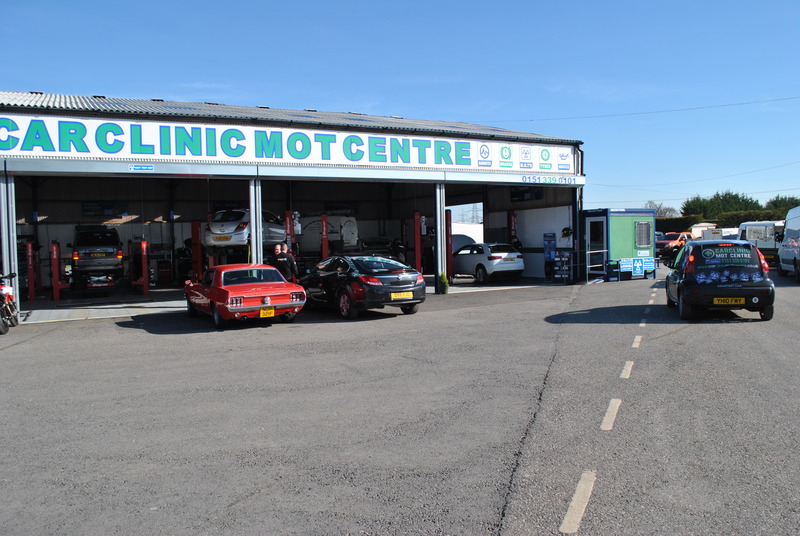 Car Clinic MOT Centre are your local experts for a class 4 MOT test, tyres and car repairs. For a free Ellesmere Port tyres quote or car repairs Ellesmere Port quote, just call us on 0151 3390101 or pop into our Ellesmere Port garage at your convenience.